Whenever a fabric or piece of clothing gets a dye stain or stains, it causes its owner a lot of problems because it is not easy to get rid of such stains. In some cases, products that people use to remove dye stains either damage or tatter their fabric or piece of cloth. Bleach is the most commonly used product to remove dye from the clothes, but it is harsh for most of the fabrics. Therefore, removing a dye from clothes has always remained a tricky affair. Take a dye remover or fixative according to the colour of your clothing and then mix it in water until it becomes a paste. Now take this paste and spread it over the dye stain. After that leave it to set for some time - or a few minutes to be specific. Then, with the help of a soft brush or soft cloth, scrub the area over which you have spread the paste. 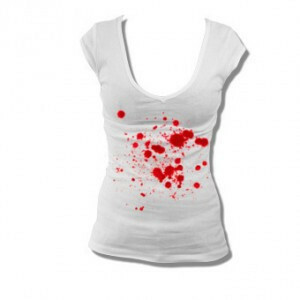 Once the dye stain is removed, pick your clothing and wash it as you do normally. After washing the piece of cloth, let it dry in open air if you want to make sure that all the stains are gone. However, if you use a dryer to dry out this piece of clothing then, there is a high possibility that the dye stains may not go away.